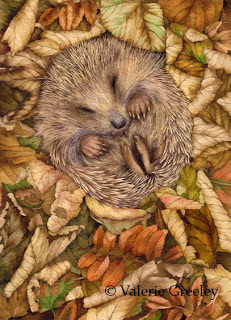 Those of you who love doing jigsaw puzzles may be interested to know that Wentworth puzzles have included "sleeping hedgehog" in their latest Autumn Catalogue. Wentworth makes wooden jigsaws, which are rather unusual as they contain special “Whimsies” pieces. These are puzzle pieces cut into the shape of an object, for example a garden themed jigsaw would have some pieces cut in the shape of a garden tool, a plant, a gardener leaning on a spade etc. Nowadays these puzzles are cut by laser but in the past they were cut by using a jigsaw, what else? It took ages before I made that connection. The “whimsies” were so called because they were cut on a whim. As jigsaw puzzles go, these are quite expensive items but they are made to last and should provide hours of pleasure to generations. Some of them even achieve a cult-like status and become collector’s items, changing hands for very high prices. When I was a child I had a jigsaw puzzle, which had a picture of ice skaters in an ice rink. I have the image firmly fixed in my mind; I must have stared at each piece for so many hours on rainy afternoons. It was my job to collect together all the straight edged pieces, paying particular attention to those precious corner pieces. I loved those special times when my father, brother or sister would join in and finish a bit for me. I even remember the doctor calling by and helping! I wonder what became of that puzzle? Irish Music and Children's Ballet. Alan Cutts is an Irish musician and composer who, amongst other things, has created a musical interpretation of “White is the Moon”. Alan composed the music for a fifteen minute ballet designed for young players ranging from grade 3 to grade 8. This musical extravaganza was first performed at the Wexford Festival in 1993 by the Wexford School of Music and the Wexford School of Ballet and Modern Dance. As luck would have it I did not get the chance to attend so can only imagine the evening, how I wish I had a time machine! Alan now tells me that he has a website and has made the music available- in script form only… sigh. However he has promised that he will, one day, make an audio file so I live in hope. I felt deeply honoured that my little book inspired a musician, many of the images were in turn inspired by the landscape and wildlife of Eire so it was pleasant to consider the work being performed in Wexford. 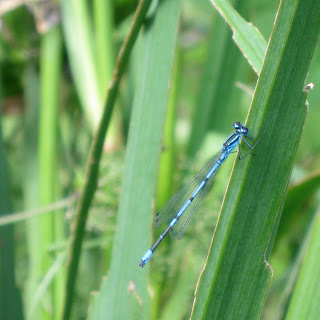 If you visit his website you can hear some of his audio files, I have been smitten by the heavenly choral music Suantrai (Irish Lulaby), such exquisite singing, well worth a visit. Labels: Alan Cutts, White is the Moon. Look what came in the post, I was the lucky winner of Joy's blog giveaway and now I am the proud owner of this lovely painting. This is the first year as far as I can remember when we have not ventured to the coast but this colourful harbour painting will be a pleasant reminder of happy days spent pottering around fishing villages in Britain and Ireland. 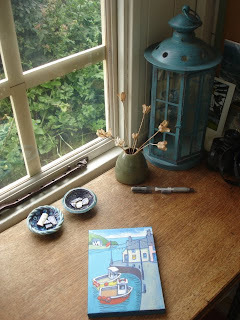 I have already found a place for it in my bathroom, next to a print which I bought in St Ives. 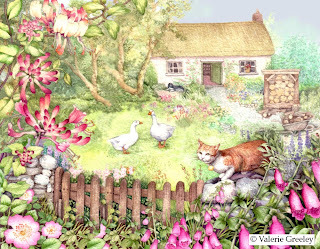 Joy also has some lovely work on her art blog, I especially like her colouful narrative style which has a joyous quality, which is just what you would expect from an artist called Joy! Much has changed at The Natural History Museum since our last visit, although thankfully the building itself remains unchanged. 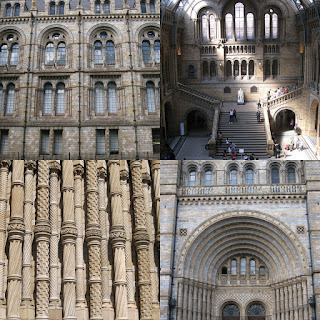 Outside it is all Victorian splendour, a fantastically ornate building designed by Alfred Waterhouse. Inside the building the space has been divided into zones and on a hot and crowded school holiday I found the experience rather claustrophobic. I had hoped to look at bumblebees and felt sure that I would be able to find a display of the various British varieties native to our countryside. Maybe such a thing exists but I could not find it in the newly formed zonal exhibition areas. 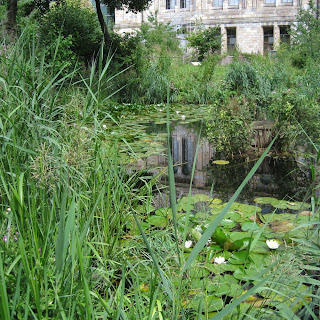 All was not lost however as we found a wonderful green oasis in the wildlife garden, complete with many species of wild flowers, trees, insects and a beautiful pond filled with water lilies, moorhens and dragonflies, oh yes and bees! Real live bumblebees feeding on teasels, definitely worth a visit. Sadly my attempt at photographing the bees failed so I have not included them in the post. Whilst I am on the subject of bees, you can read about the work that the Bumblebee Conservation Trust is doing by visiting this blog. Nikki is in charge of a project, which is trying to reintroduce the “Short –haired” bumblebee back into Britain.